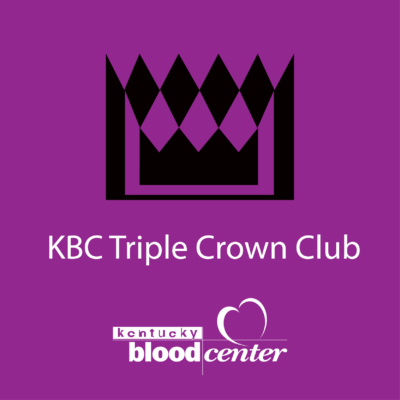 Thanks to our Triple Crown Club donors for helping ensure an adequate winter blood supply. It’s time to visit a KBC donor center to make your third donation and receive your KBC weekender duffel bag. Receive a KBC Weekender Duffel Bag when you complete the Triple Crown Club. Please note: We will be closed on Feb. 23 for a system upgrade.